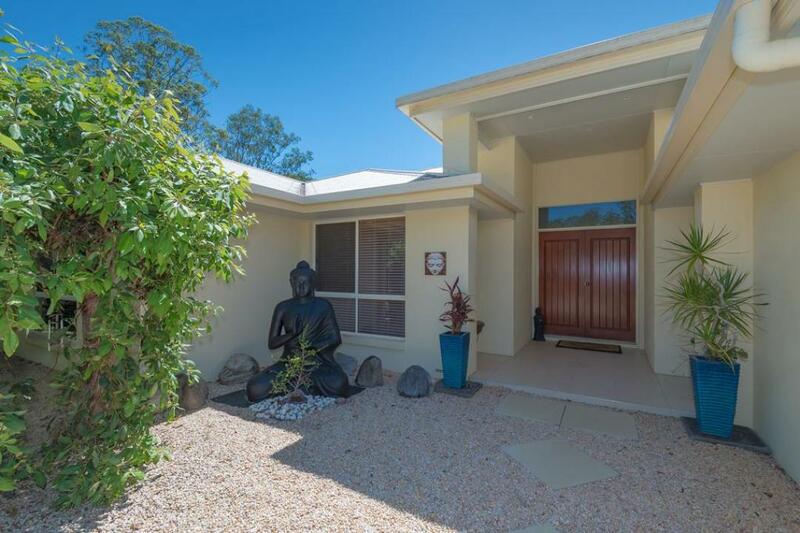 Leave the stress behind, embrace your new lifestyle. One of the largest and most private level blocks to be found throughout this estate. 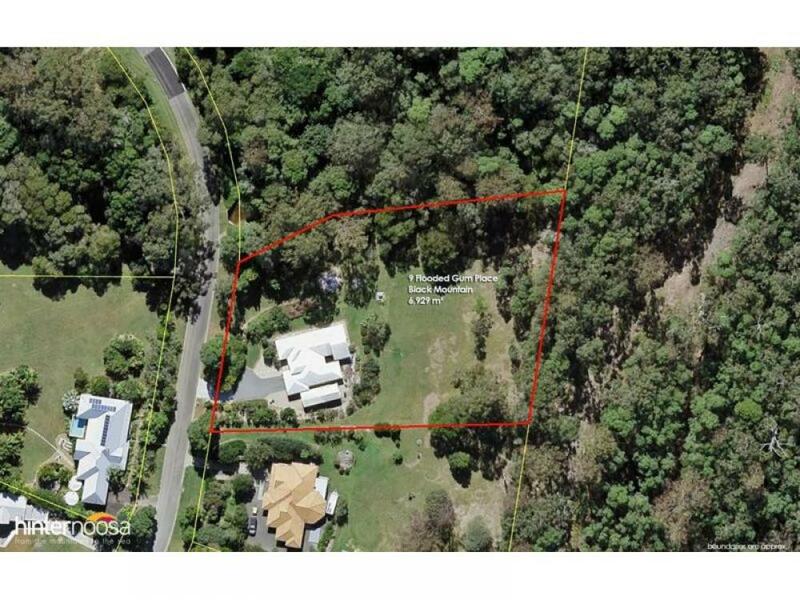 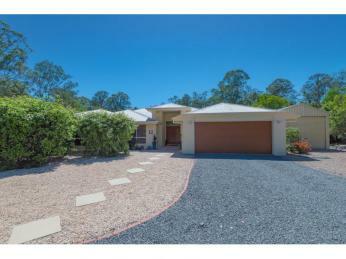 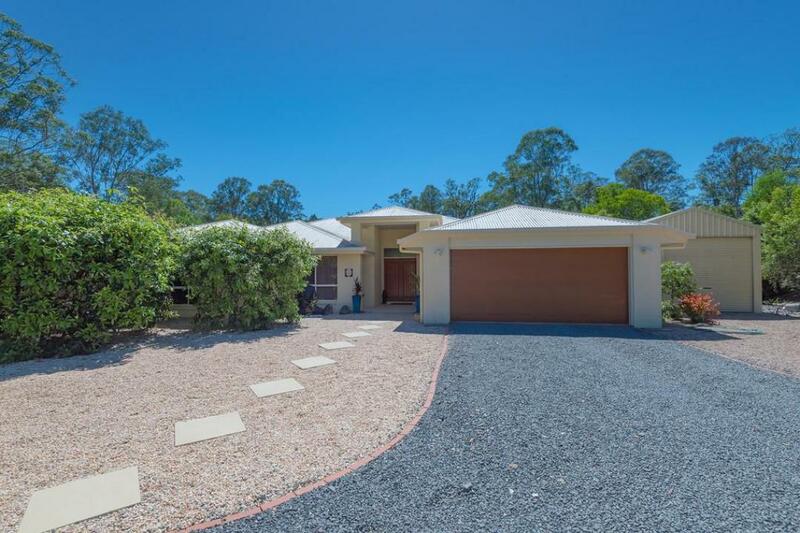 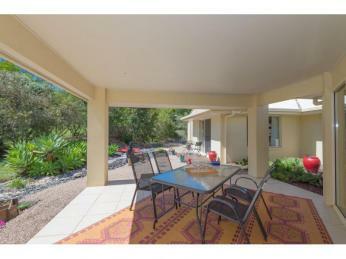 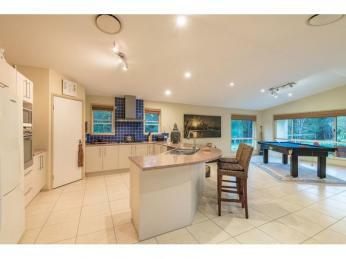 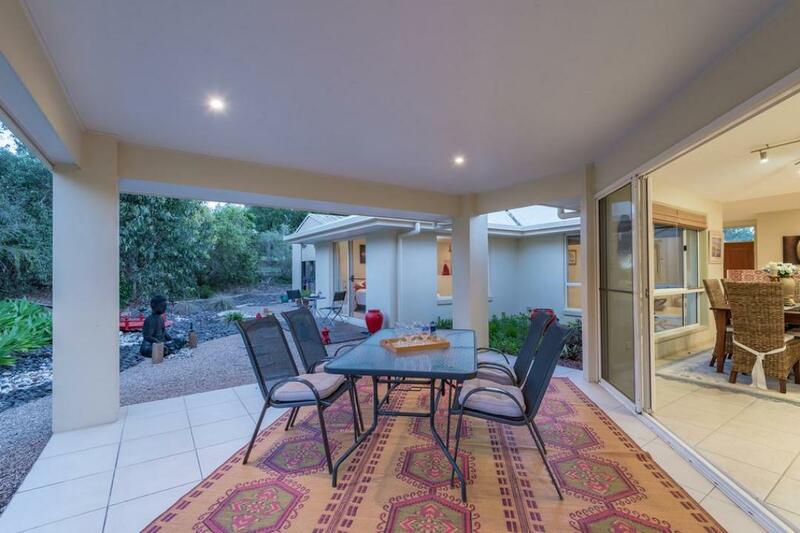 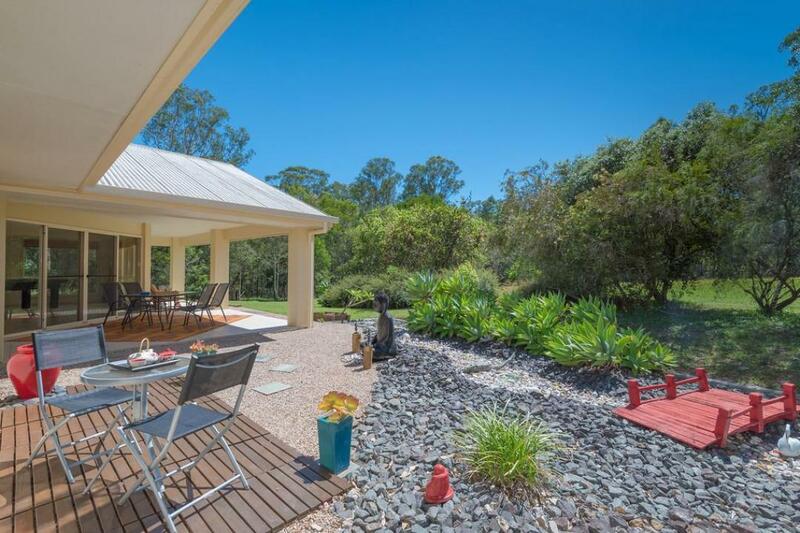 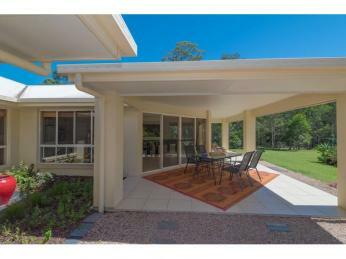 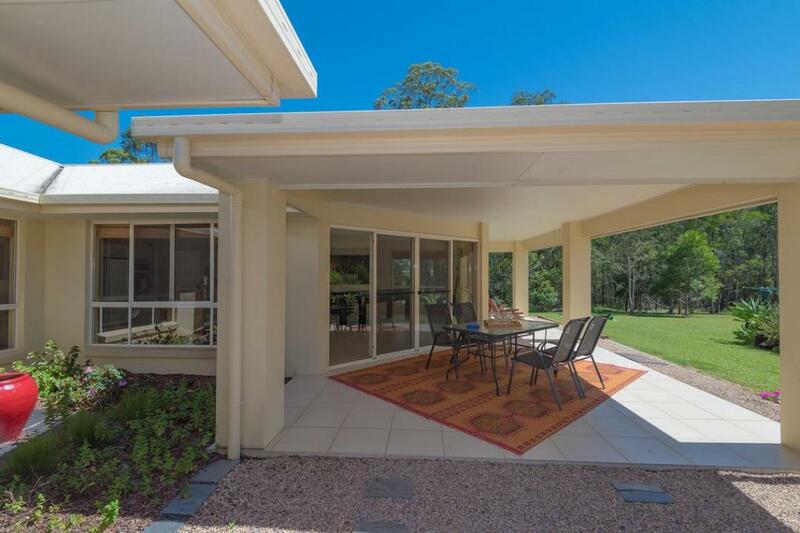 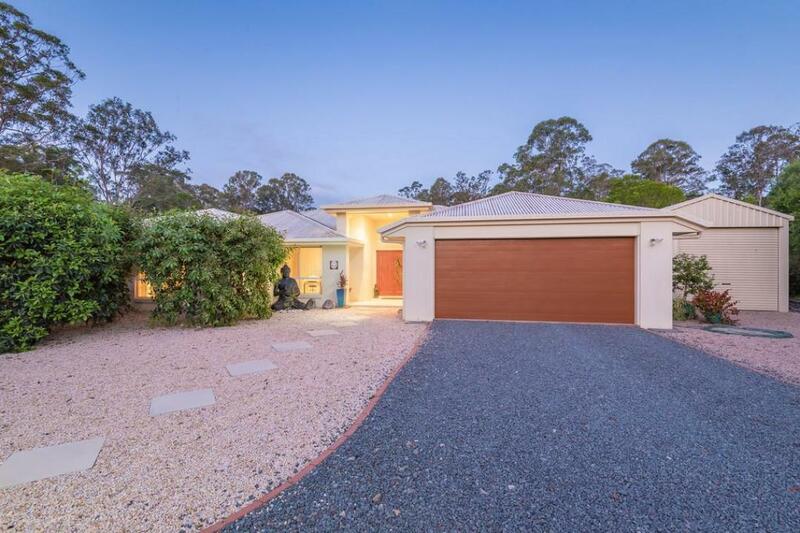 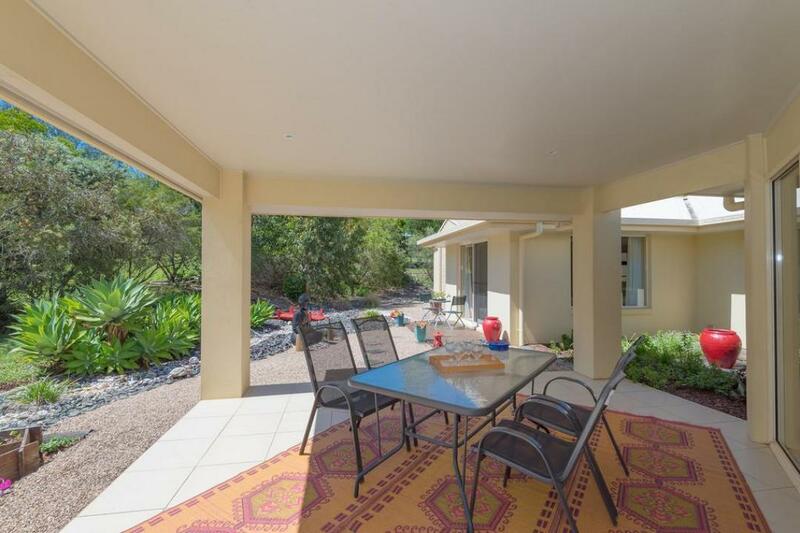 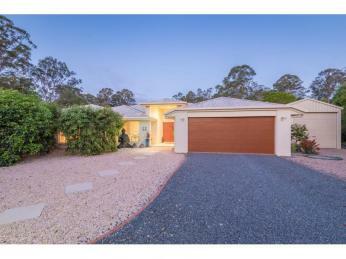 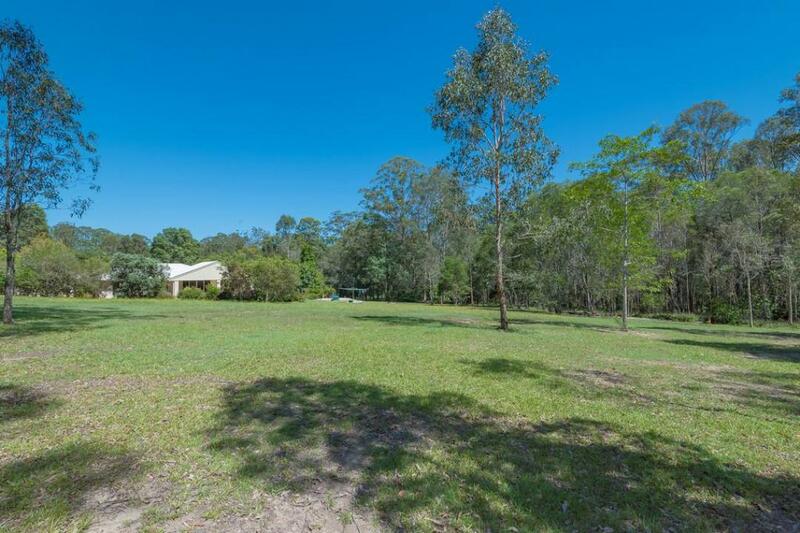 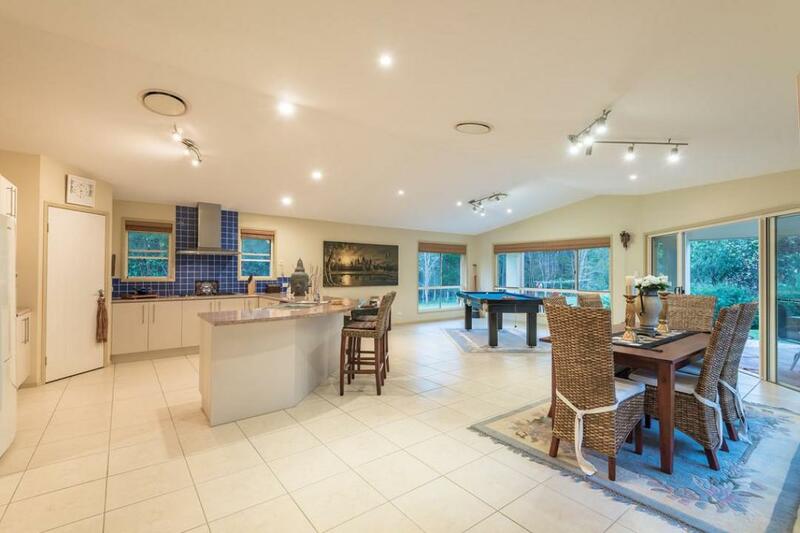 Your architecturally designed home is hidden in a park like environment, surrounded by mature gardens and state forest on two sides situated 9 mins from Cooroy and 30 mins to Noosa. 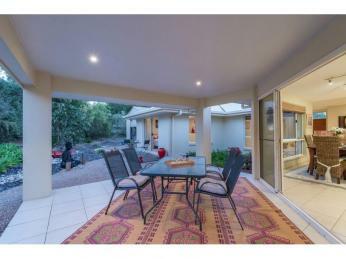 The entry is formal in design and large timber doors give you a glimpse of the quality of the home that lays beyond. 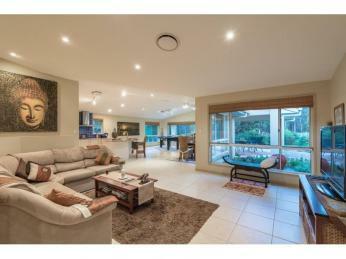 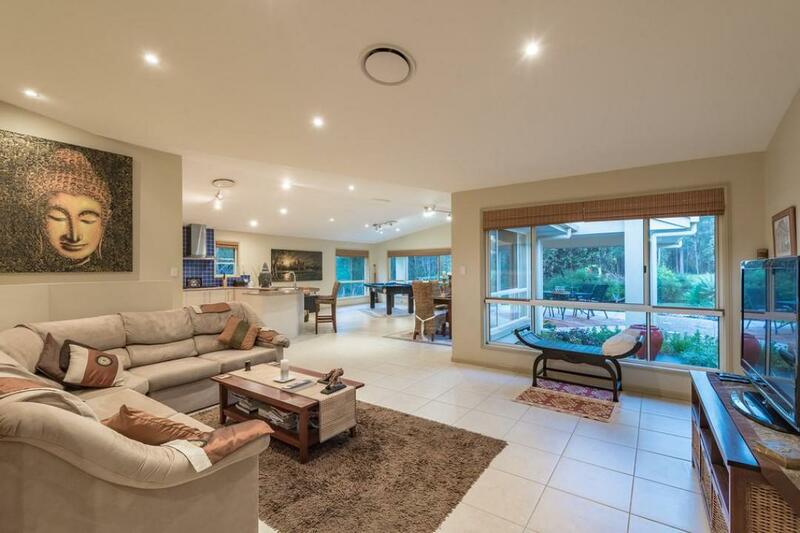 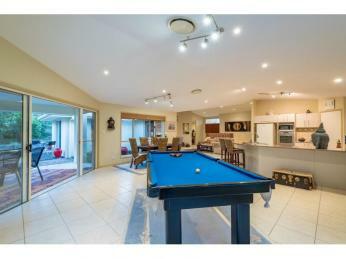 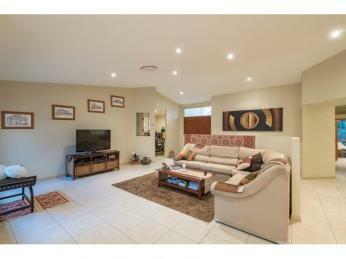 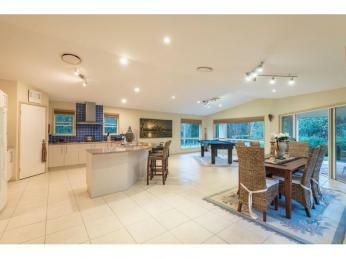 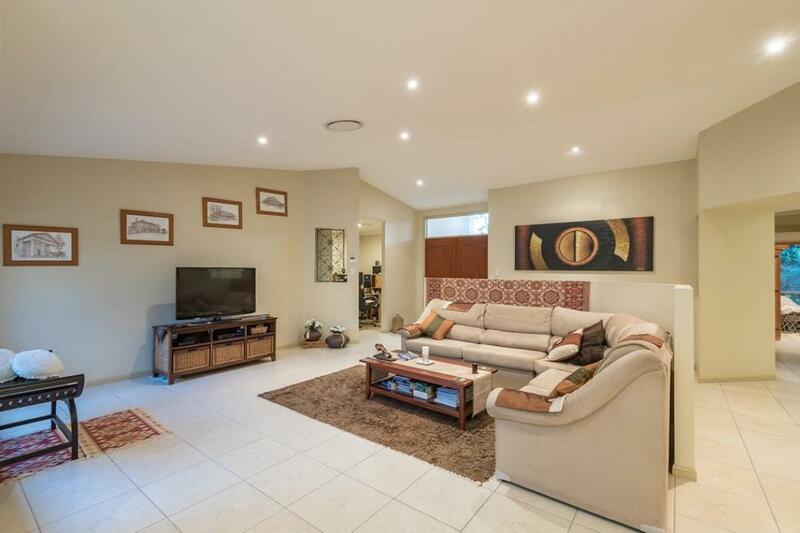 The large expansive formal lounge area flows through to the open plan family room. 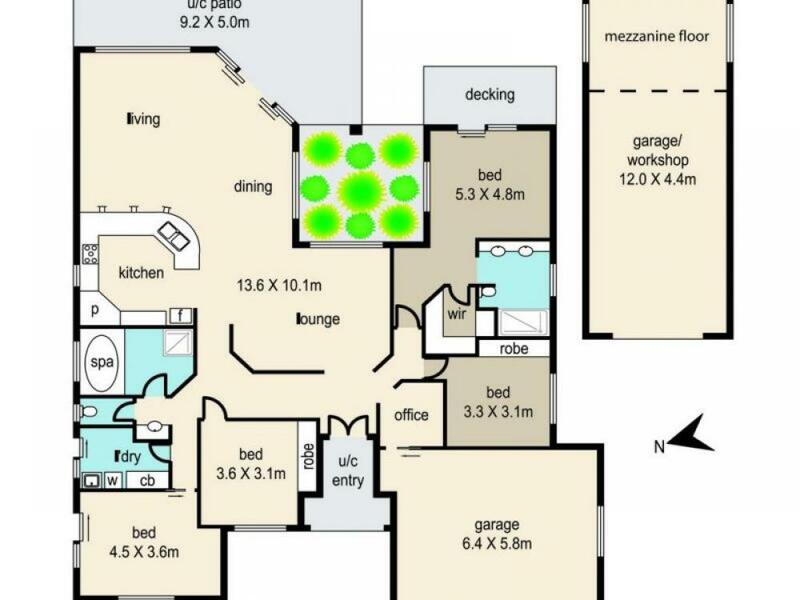 The four bedrooms are separated by the large formal and living areas, with the master bedroom, separate office and second bedroom on the right wing. 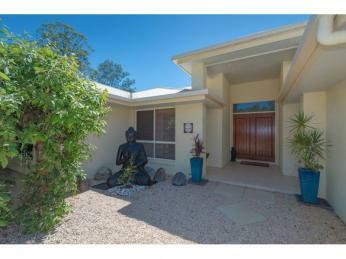 The master has a walk in robe, a large bathroom area complete with dual showers, dual vanities and a beautiful outlook to the rear gardens. 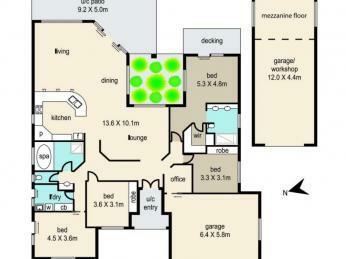 The left wing of the home has the other two bedrooms and main bathroom. 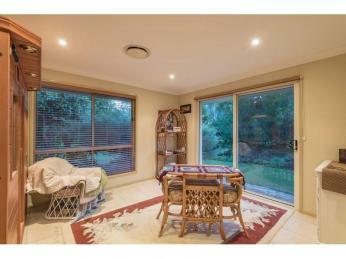 One bedroom is being utilised as a home office and this wing has a private entry for clients to use. 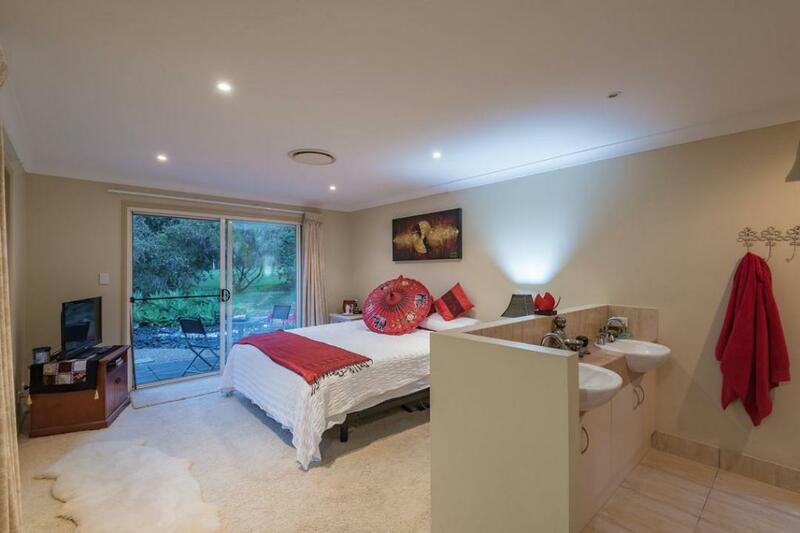 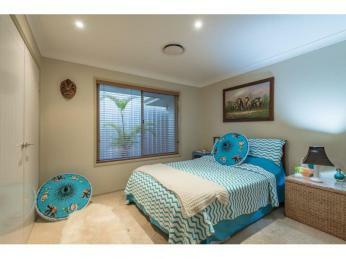 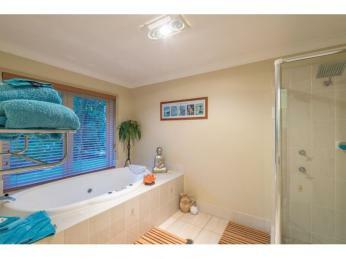 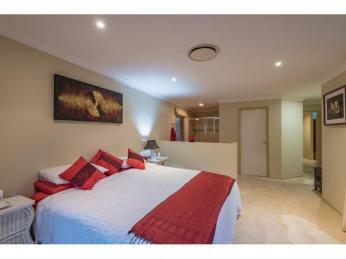 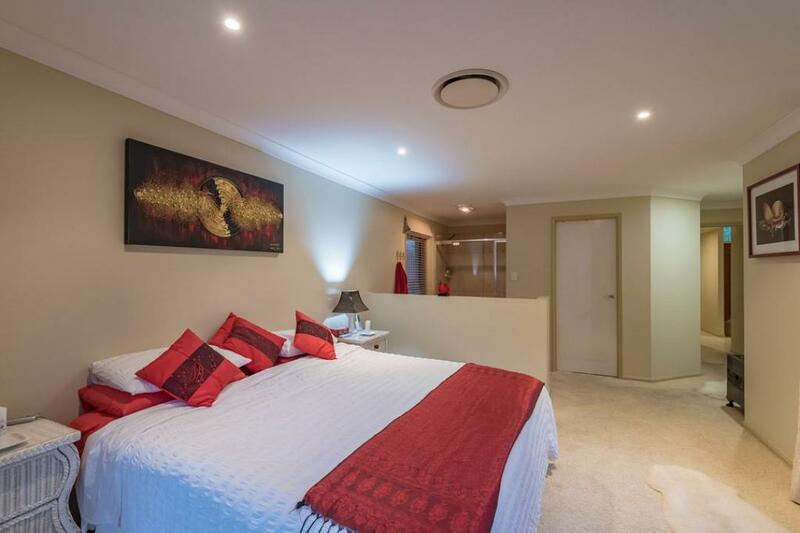 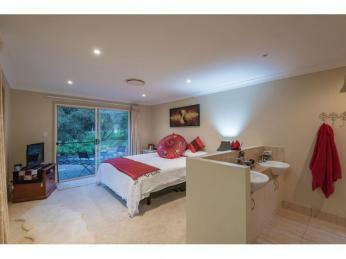 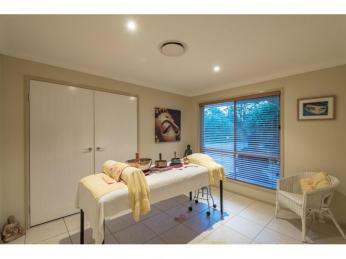 The 3rd bedroom has an infra red sauna installed for your health and enjoyment. 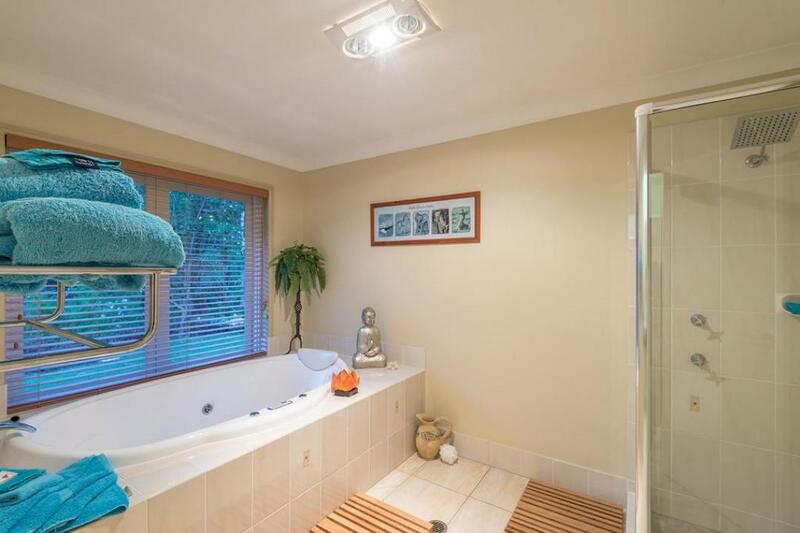 The main bathroom has a large spa bath and a lovely nature window which opens enabling you to soak away your stresses whilst taking in the relaxing outlook. 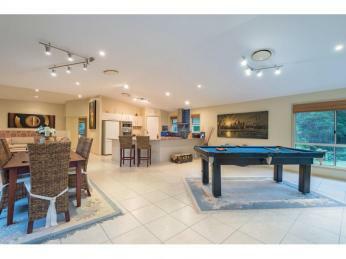 The home has soaring ceilings, ducted air conditioning and a beautiful outlook to the large tiled under cover patio and park like block. 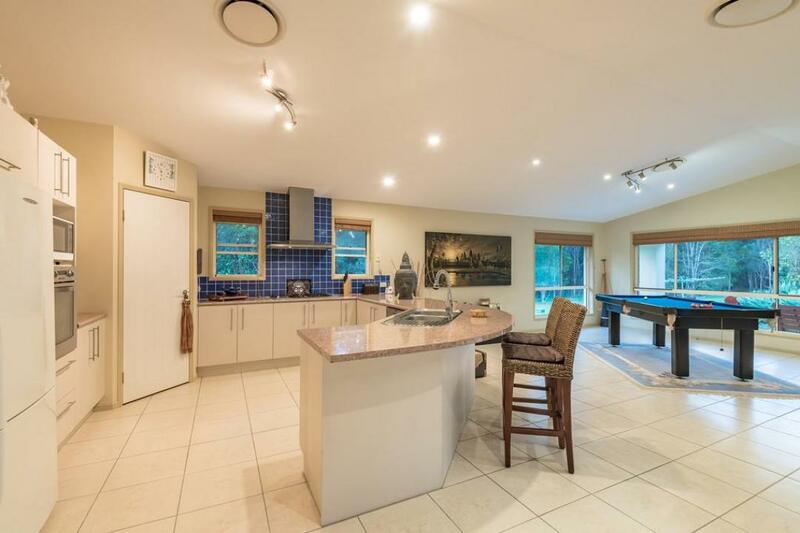 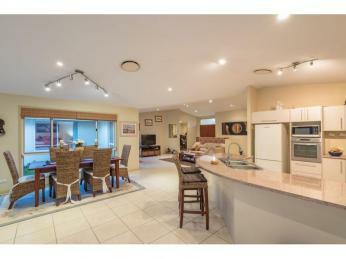 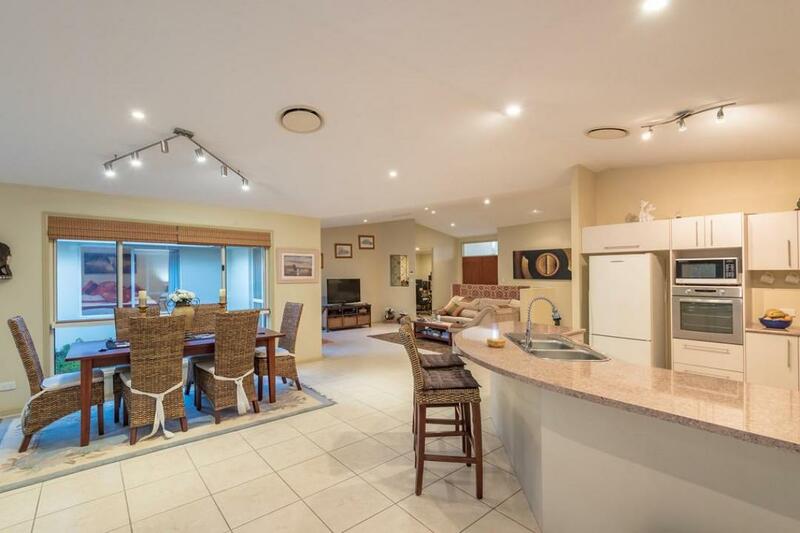 The kitchen is well equipped for entertaining with a large pantry, gas stove, gas oven and split draw dishwasher. 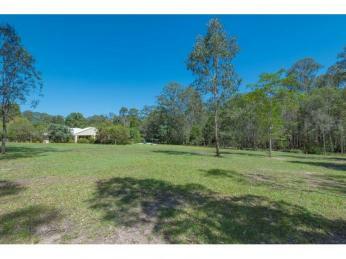 The large driveway area provides easy access for large vehicles and caravan storage to the large powered shed. 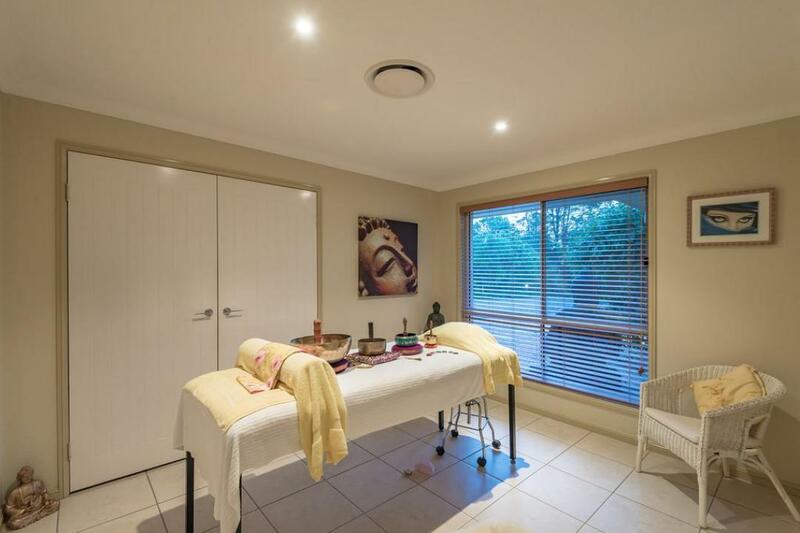 This shed has a sturdy mezzanine floor providing ample room for storage and a workshop. 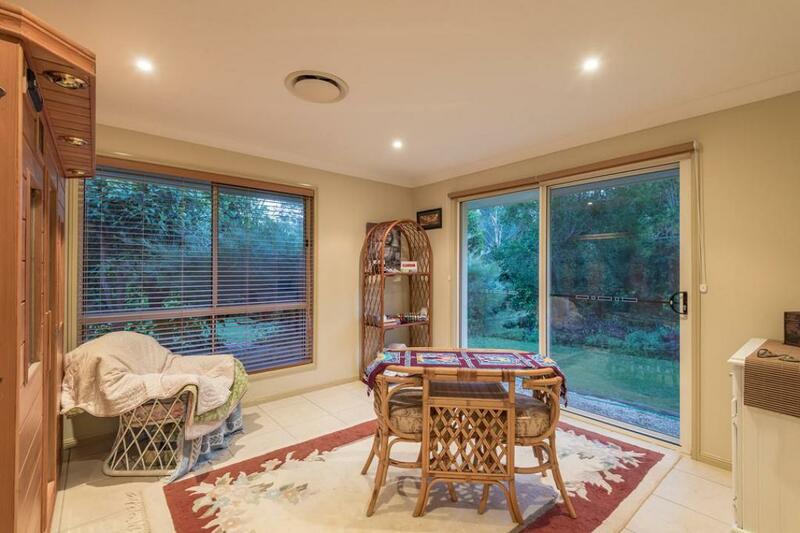 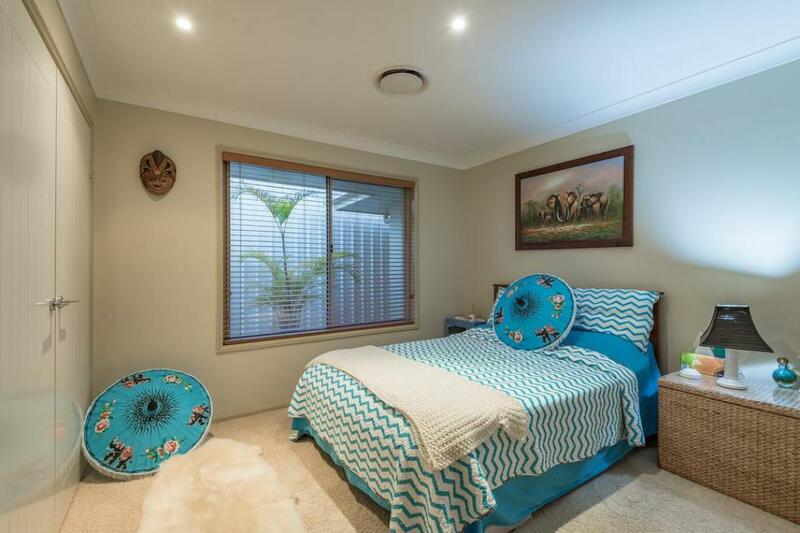 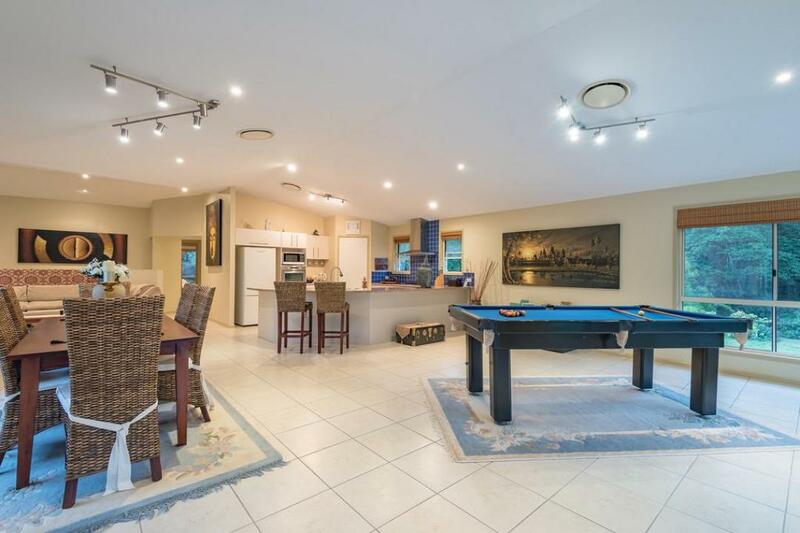 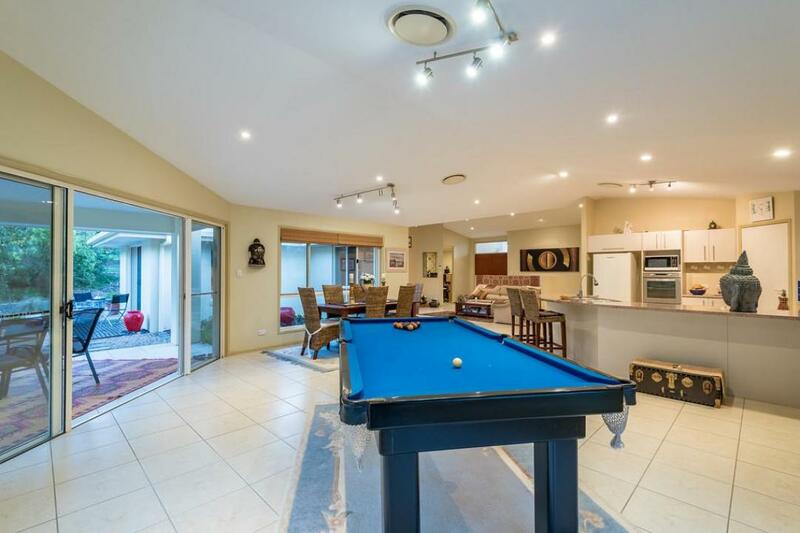 There is side access to the back yard which resembles a good size oval for the young sporting enthusiast to practice their athletic pursuits. 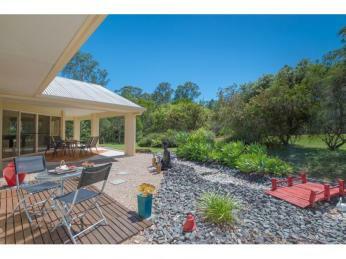 Wildlife is in abundance and the kangaroos are often passing through.